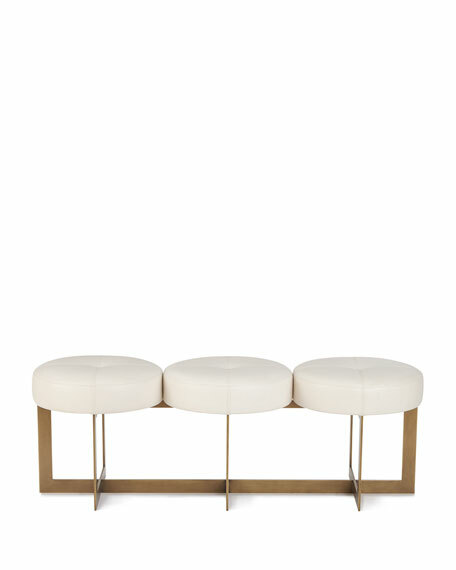 A modern three-seat bench with individual seat pads upholstered in white leather and exposed stitching. 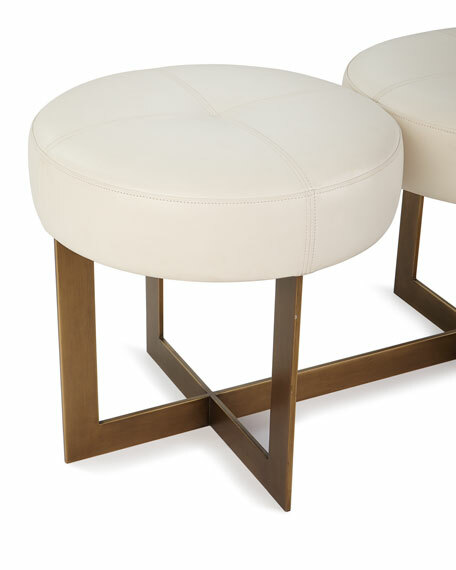 The wrought iron base is finished in antiqued brass. Handcrafted bench with leather seats. 55"W x 18.5"D x 18"T.
Boxed weight, approximately 87 lbs.